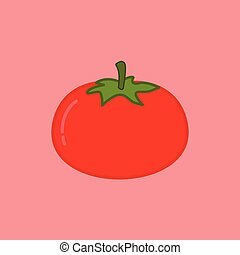 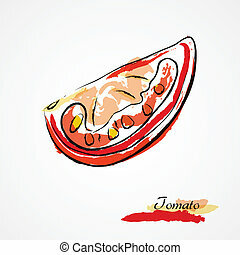 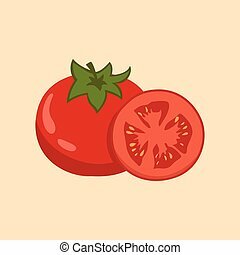 Closeup illustration of fresh tomato fruit, vegetable isolated in white. 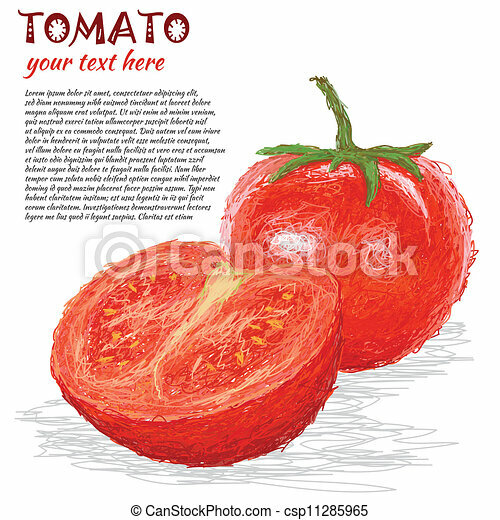 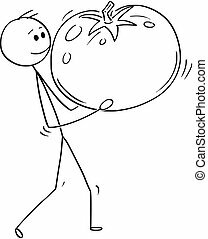 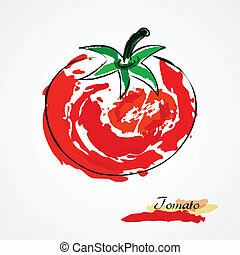 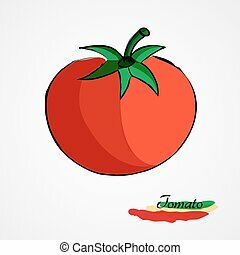 Cartoon stick man drawing conceptual illustration of man carrying big ripe tomato fruit. 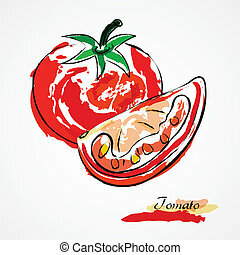 Concept of healthy lifestyle and agriculture.